How can you benefit from a database solution? Palletways required a simple to use database tool to replace a spreadsheet system that monitored KPIs for the majority of their customers. This old spreadsheet system meant creating a file for each account with a sheet for each month. In isolation this was not a difficult task but Palletways have 40+ customers and it took roughly 80 hours a month to produce this information. Furthermore the efforts were centred on producing the report rather than ensuring the information was correct and acting upon it. 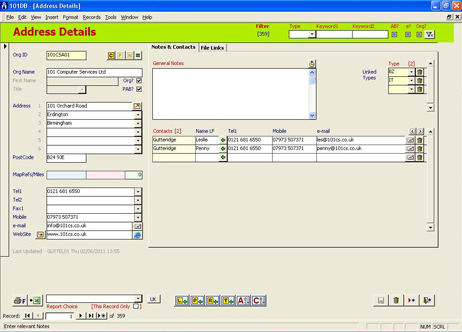 The PAM (Performance Account Management) database replacement designed in MS Access by 101 Computer Services Ltd enables Palletways to manage the information, cleanse the information in a logical manner and report on the information quickly and accurately in a professional format. Typically, 3% of their 1,500-2,000 consignments per day have issues. 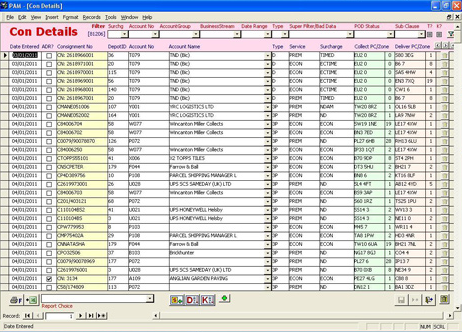 The consignment and financial data is uploaded into PAM with little user input on a daily basis. A simple user-friendly dashboard is used to check and cleanse the consignment data, then KPI measures are quickly generated and finally the data is circulated to clients as specially designed reports in pdf format. The Palletways management were delighted with PAM as it meant that at long last accurate evidence was at hand.